Summer means school’s out and many people are focused on finding activities and projects for their kids. That doesn’t mean adults should be left out of the fun! 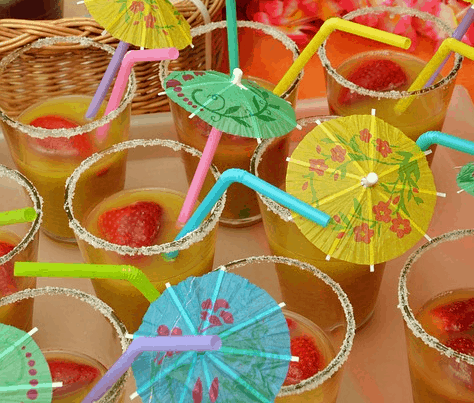 Summer should be fun for everyone, so we found the best summer crafts for adults to help you have fun all summer long. And you’ll fancy up your space at the same time. You know that garden hose that sprang a leak last year? Don’t toss it! Instead, you make this cool braided-style rug. All you need is your worn-out hose(s) and some zip ties. It’s waterproof and mold resistant, making it perfect for adding a splash of color to any outdoor space. 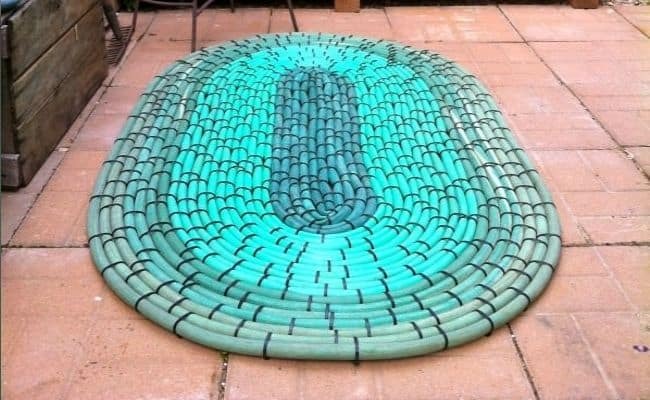 Make it even more visually appealing by using different color hoses. What better way to add some whimsy to your three season porch than with some flower fairy lights? Scissors, glue, ribbon, and fabric are all you need…well those and a string (or more) of fairy lights (aka twinkling Christmas lights.) Make sure everything is dry before you plug in the lights. 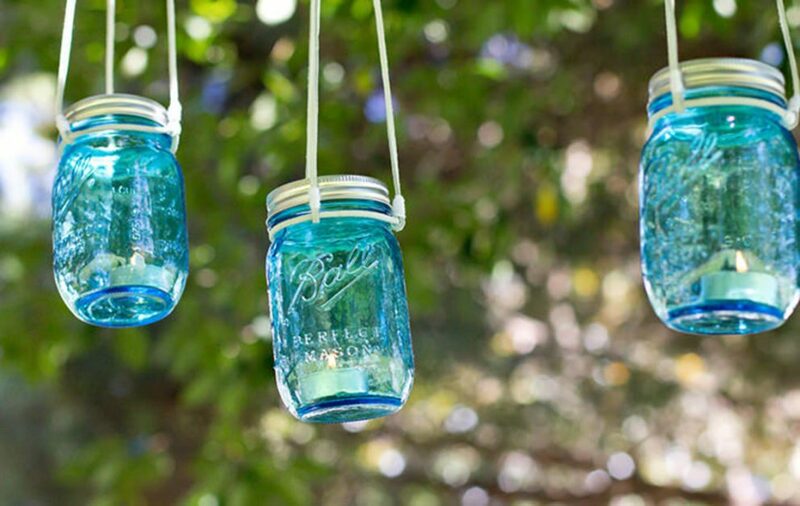 Set the mood at your next backyard event with mason jar lights. All you need is empty mason jars, heavy duty suede (or another strong string), super glue, and some tea lights. Set aside an hour and you can make enough mood lighting to cover your entire yard. If you’re up for a challenge, try using different size jars to make tiered mason jar lantern. At your next backyard BBQ, greet everyone with a daisy lei. Daisies always remind everyone of summer and childhood. There’s an innocence and sweetness to them your guests will appreciate. Pro tip: wild daisies are quite fragile and don’t last long without water. Instead, ask your florist for chrysanthemum daisies which hold better and are less likely to break during the twining process. Do you love walking on the beach collecting shells? Now, instead of keeping them in a drawer or tossing back shells you’d truly love to take home, you can display them as part of a decorative flower pot. Find some inexpensive terra cotta pots and get out your sandpaper paint brush to give them an aged look. 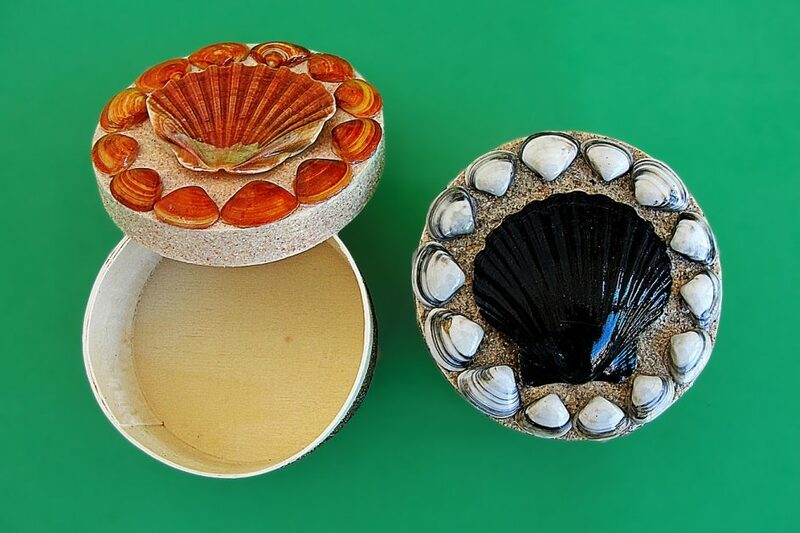 Then using tweezers and Tacky glue, attach the shells wherever your think they’ll look best. If you are interested in other ways to display flowers, check out our blog post 5 Ways to Display Flowers. You’ll love them! Garden stakes are great for holding plants like tomatoes and beans, but who says they have to be boring? With some wire and glass beads, it’s easy to make a boring plant stake into something pretty. They glass beads catch the sun and make lovely patterns on the rocks and plants in your garden too. Get the full directions. Bring some of that ocean vacation feel home with you! You’ll need clay pots in progressively smaller sizes. Get as many as you need to make your lighthouse as tall as you want. Add a glass dome and battery operated candle on top to truly capture the essence of the coast. You’ll also need a couple of clay saucers, some outdoor paint in the colors of your choice and a clear glue that will withstand the elements. Nothing says summer relaxation like an umbrella drink. Whether you’re relaxing with a book on your chaise or entertaining friends and neighbors at a cookout, these DIY drink umbrellas are sure to create an atmosphere of fun and relaxation. This is our favorite of all the summer crafts for adults because not only do you make the craft you get to drink wine! Summer means backyard get-togethers and outdoor events. And many of those mean wine. 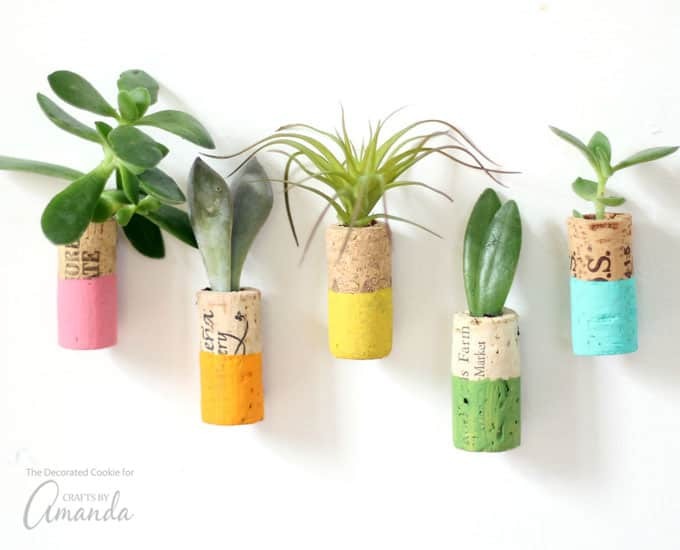 Instead of tossing the corks in the trash, upcycle them to make fabulous magnets filled with succulent plants. Use either live or fake plants, but be aware that if you use live ones, you’ll need to water them and they may outgrow their wine cork pot. 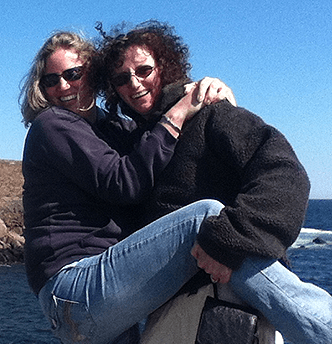 There is so much out there to try and we tried to pick the ones that were easy, affordable and adorable! How did we do? What ones will you try? What summer crafts for adults have you done so far? Let us know and send along some pics of the completed project.